Many thanks to Joanna Donnelly who visited our school today to talk to 3Ys about her new book 'The Great Irish Weather Book' and her career as a meteorologist. A huge thank you to the award winning author Dave Rudden who visited our library yesterday to talk to 1Ys about his books and creative writing. It was a wonderful experience. 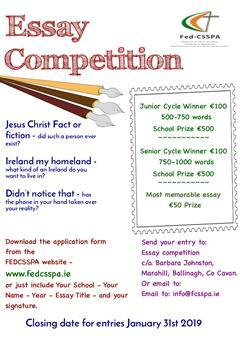 Please click here for details of this national essay competition. 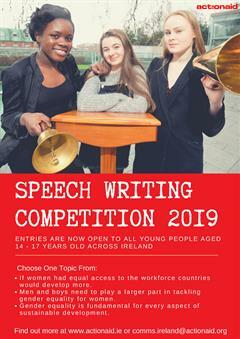 For all students (aged 15-18 inclusive)! 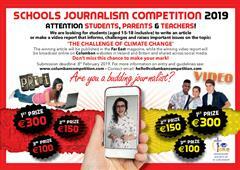 Why not write an article or make a video report that informs, challenges and raises important issues on the topic: The Challenge of Climate Change. 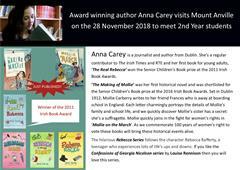 Many thanks to the award winning author Anna Carey who gave a wonderful talk our 2Y students about her books and creative writing. It was an inspirational talk for any budding authors. 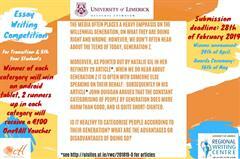 Please click here for details of this competition.